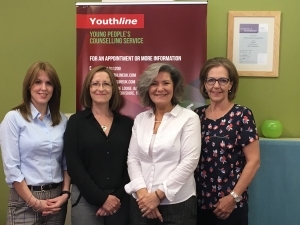 This year marks our 30th year at Youthline and we celebrated this during our annual AGM held on 14th June. 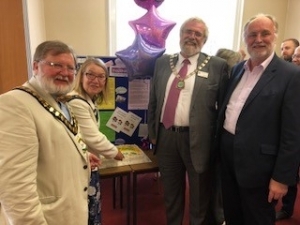 We were pleased to be joined by the Mayor of Bracknell Forest, Councillor Alvin Finch and the Mayor of Bracknell Town, Councillor Sandra Ingham along with many other supporters of Youthline such as Mayor and Mayoress of Sandhurst, Vice Chairman of Crowthorne Parish Council, Bracknell Forest Council, Thames Valley Police, Samaritans, Time to Talk, Kennel Lane School, Involve and volunteers of Youthline. Our core business has always been one-to-one counselling that we provide for young people between the ages of 12 to 25. 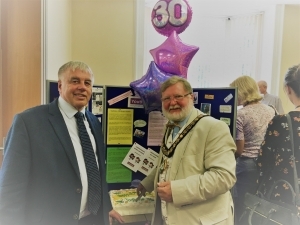 Youthline makes a positive difference to the lives of thousands of Bracknell Forest young people and hope that we will continue to do so for another 30 years! !